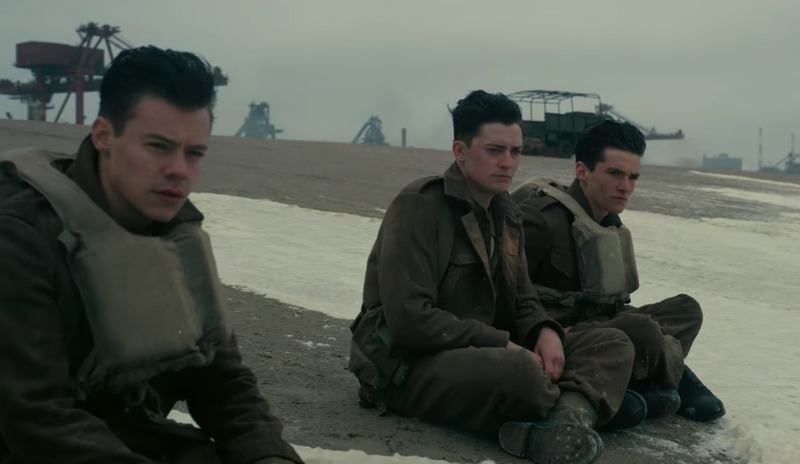 What is "Dunkirk," the movie that everyone's talking about? If you haven’t yet watched Dunkirk, the war period drama that has made many best films of 2017 lists, then you might want want to this weekend. The movie was helmed by Christopher Nolan, director of blockbusters like The Dark Knight and Inception. It also touts a cast of beefy British stars like Tom Hardy, Kenneth Branagh, Cillian Murphy and, oh yeah, some guy named Harry Styles. In case you’re still not sold, let Dunkirk’s plot summary entice you with its epic tale of battle and glory. What, exactly, is Dunkirk about? Let’s start with the basics: Dunkirk is a coastal town in northern France. Dunkirk the movie is a true story based on events that occurred during World War II. During a six-week-long battle in May and June of 1940, a group of Allied soldiers were surrounded by Nazi German forces in northern France after a surprise attack. Forced to retreat to the beaches and harbor of Dunkirk and cut off from the rest of their army, they were basically doomed. The U.S. didn’t enter World War II until post-Pearl Harbor in December 1941. So the story is familiar to British people, but many Americans have been unaware of the tale until now. The film Dunkirk follows a non-linear narrative, which means that the scenes at the beginning of the film are not necessarily events that occurred before other events in later parts of the film. (Remember Arrival? It also followed a similar, non-linear path.) Instead of simply telling the story from beginning to end, Dunkirk alternates among three different time periods and groups of characters during the battle and rescue. Despite being a war film, the movie doesn’t focus on the bloody parts of battle, which apparently bored at least one critic. There’s also very little dialogue. However, if you’d think you’d enjoy a cinematic war thriller, you’ll probably appreciate Dunkirk.